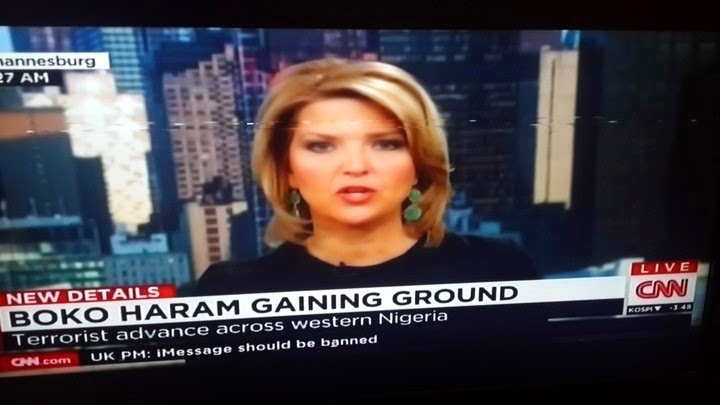 CNN Reports That Boko Haram Is Advancing Across Western Nigeria? Most people outside Nigeria often have to depend on international media for news of what's happening in the country. 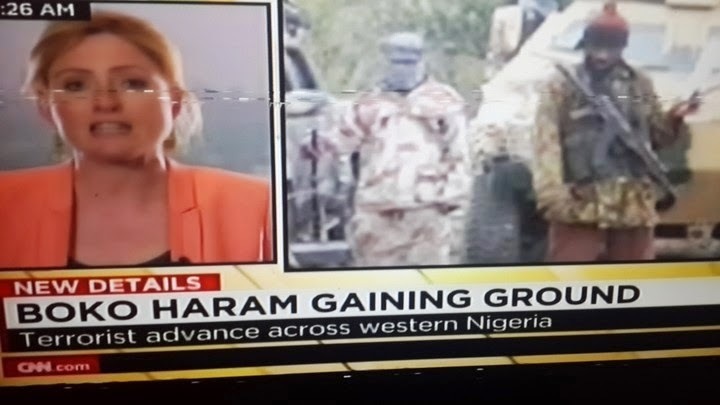 And a new report on CNN today was shown with a graphics on the TV that claims that Boko Haram is advancing across Western Nigeria. How true is this? I'm asking because I've not heard that Boko Haram is in the western part of the country which is really the south-west, or do they mean the North West? But even then, I've not heard local reports of Boko Haram being in North-west states like Sokoto, Kebbi, or Niger. Who can confirm? This is a afke report. NOthing like such is happening in Nigeria. Boko Haram is in the North Eastern part of Nigeria.